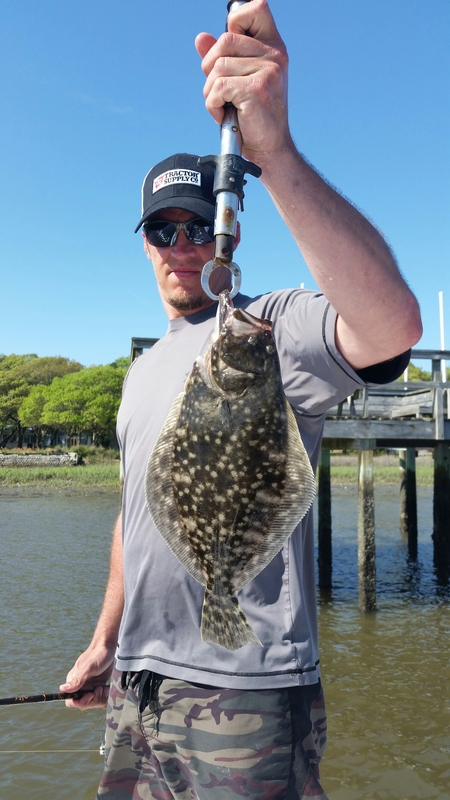 The inshore waters of Holden Beach North Carolina are starting to really heat up. 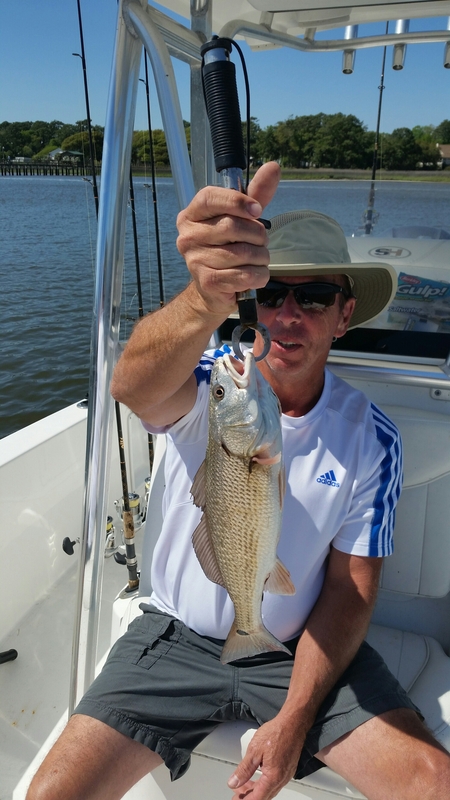 Ran a trip with some repeat clients Eric and Terry Burns and for the first 4 hours of the trip we only landed 3 short flounder and 1 short red drum. We headed to a spot that normally holds fish most of the year and I figured we could probably pull a few red’s out to end the day. What I didn’t expect was to sit in that spot for over an hour and catch red fish on almost every cast. We landed over 25 to 30 redfish off 1 dock. 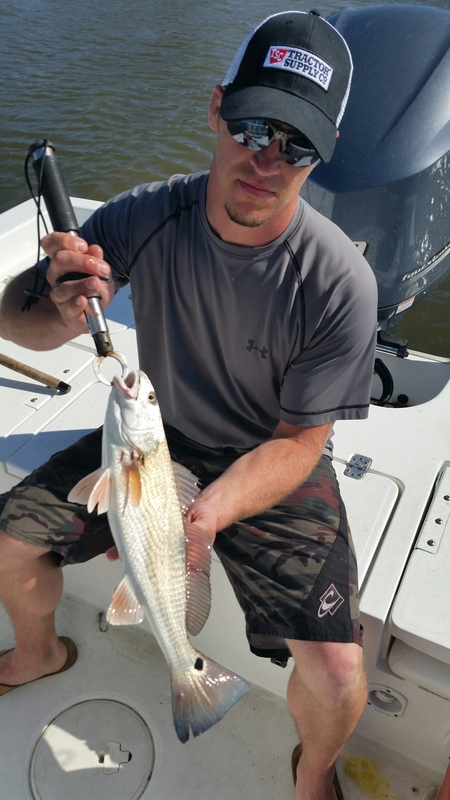 This tells me that the Redfish are still swimming in big schools and once we locate them they are normally hungry. This can make for some really fun fishing on light spinning tackle.